Muslim preacher says that, according to Islamic law, the 'Palestinian right of return' passes from one generation to the next. Citing Islamic law, Sheikh Ikrima Sabri, head of the Supreme Muslim Council in Jerusalem, rejected any possibility of Palestinian Arab concession on the so-called "right of return" of fourth generation Palestinian Arab "refugees." 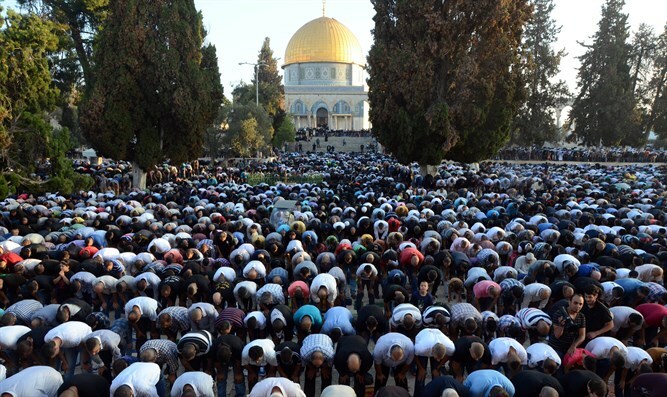 In a sermon delivered at the Al-Aqsa Mosque on February 2, Sabri said that the “Palestinian refugees” had the right to return to their homes in “the 1948 territories,” according to the Palestinian Arab newspaper Felesteen. "The refugee is the one who was expelled from his home and his land and the term refugee applies to the children and grandchildren, and that is the religious Islamic meaning [of the word refugee], because the rights of the refugee and his property exist and hold in future generations via inheritance according to Islamic law," Sabri said. UNRWA must exist until the “Palestinian refugees” and their descendants return to their homes, Sabri said, adding that the US decision to cut aid to the organization was expected in light of the existing “plot to eliminate the Palestinian problem.” As such, he said that Arab and Islamic countries should transfer financial aid to UNRWA. He attacked "Judaization" efforts in Jerusalem, asserting that these were "illegal" activities and that the Palestinians Arabs would not recognize them since the city of “Al Quds” is an "occupied" city. "The Al-Aqsa Mosque belongs only to Muslims," ​​he said.